When is a conference better than a conference? When it's a CiviCon! London 2017 was my first time at a CiviCon event so not sure what to expect, but I have been to many business conferences over the years. So, what was so different about this one? Essentially, nothing; held in a major city i.e. London, in a conference centre, a welcome desk with a goody bag and a programme, introduction, sessions – you get the picture! It’s hard to put your finger on why it was different - better - but I am sure it has to do with the ethos of CiviCRM and why the organisers and attendees were there; a shared vision and a unified purpose. What exactly was different? Well, as soon as I walked into the main conference room, I felt I was amongst friends, like-minded people. Yet apart from a couple of emails on signing up, I didn’t know anyone there (those emails, by the way, also made me feel that the organisers really wanted me to get as much as I could from the experience and it was not just about them). Not only that, but a majority of the people there were ‘techies’ – programmers, developers, implementers – and I’m a volunteer, USER of CiviCRM! You can’t imagine a more diverse group of people all in one room. And yet, everyone I talked with was friendly and willing to share their knowledge. That was a great start to the day. And then the real meat of the day (sorry veggies! ), the sessions were really informative, with loads of ideas for me to take back to my organisation, Dru UK. There were 3 options for each of the 4 sessions and the challenge was deciding between them, because there were usually 2 options in each session that I was torn between. But CiviCon has even thought of that and recorded all the sessions to be placed on YouTube in due course. I couldn’t lose; attend one option and then look up the others on YouTube later. Of course, nothing beats being in the session, but at least I could relax in the knowledge that I wouldn’t miss anything important. So, what would I say to someone who, like me, is looking at the next conference as a ‘first-timer’ and wondering ‘is it for me?’. I would say, you can’t lose. You’ll have a great experience, you’ll learn loads, you’ll be inspired to go to more CiviCRM events in the future and you will feel that you now belong to a community of people who you can keep in contact with, and who will be glad to support you and respond to your questions. I now have ‘friends’ from all over the world, including computer techies, charitable organisations and CiviCRM users who all want to make a difference to the world! Richard Dewick from Drupal Centric has also written a great blog post about the different sessions. 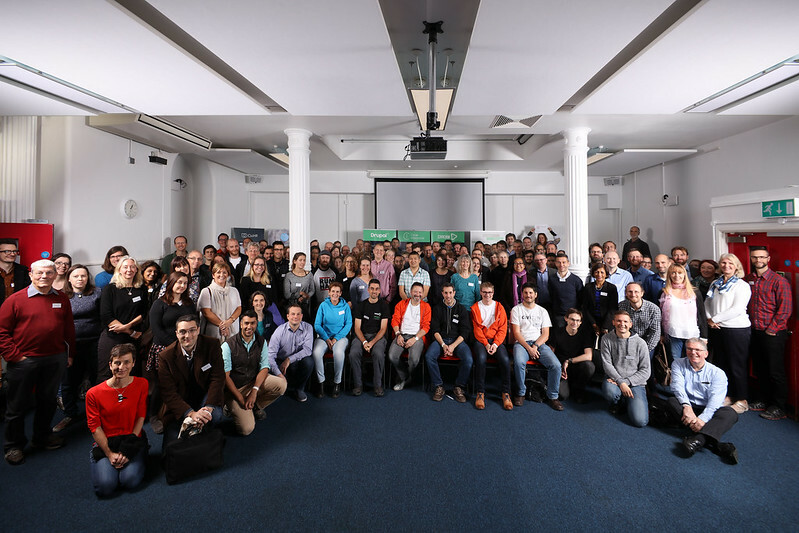 You can find this here https://www.drupalcentric.solutions/blog/our-civiconuk-2017-highlights.